with NEW upgraded window frame! 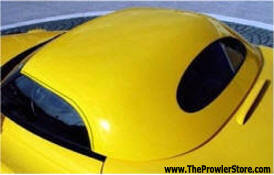 Includes one hard top with rubber weather seals around door windows and a rubber seal wherever the top meets the car. Interior black liner installed. Window comes ready for easy mounting. 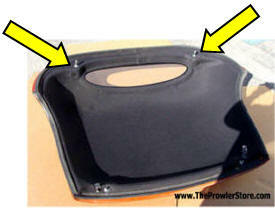 No drilling - simply install this top in the same exact way you install your soft top. 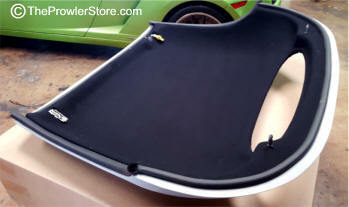 Put the hard top on then take it off and your soft top will function just like before. It fits the same way the convertible top fits. Does not rattle or squeak like some tops. Two metal latches secure the top on to the front windshield frame and two adjustable metal pins secure the back side to the trunk deck. NOTE: Size of double thick cardboard box container "specifically custom made" to hold the Hard Top without it being damaged..
With Top inside: 60" x 51" x 16" at 55lbs. Just needs paint prep & paint. Comes - ready for finish prep & paint. 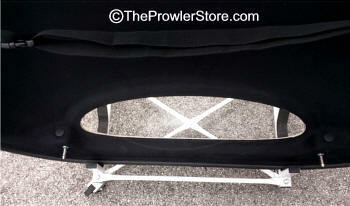 Rear window comes uninstalled to mount after painting. More Pictures of Hard Top - Click Here! Interior head liner comes installed. With New improved Rear Window and frame shown. *Note: Certain times of year it can take longer. Call for the current delivery time. Any additional required - Will be billed later. 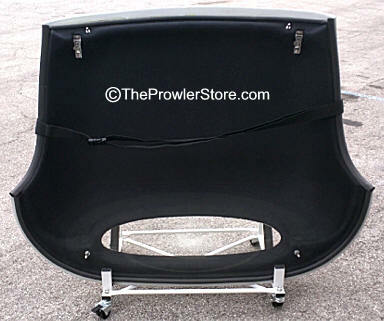 IH-EB-HT-CART Plymouth Prowler Hard Top Carrier Cart. 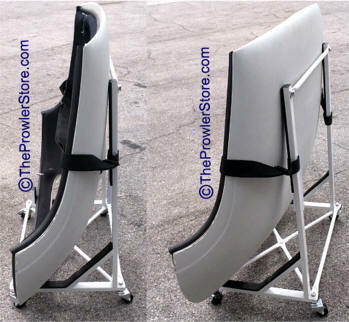 Choose which self adhesive whether stripping for your Prowler Hard Top you need. Simply trim to exact size with razor knife. Then peel and stick. IH-MTPINCAPS Chrysler Plymouth Hard Top Interior Pin Plug Caps. 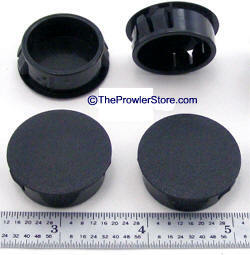 Set of 2 plastic plugs that fit into the hole where you adjust the rear mounting pins. 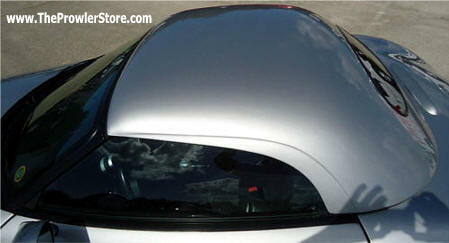 ACC-822050 Chrysler Plymouth Hard Top UPGRADE Rear Window with stainless steel frame Upgrade. Upgraded Tinted Lexan window and stainless steel smoked chrome frame. Already assembled and finished this Inserts right into window cut out. Easy installation. Lexan is scratch resistant and nearly unbreakable. 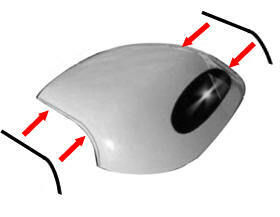 Same material used in race car windows. Does not include a rear defroster. 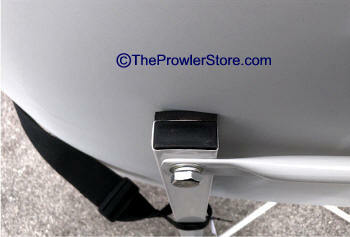 Metal mounting pin for the Prowler Hard Top. Includes one (1) pin. 1. Does the HT have the same latches as the convertibleop? 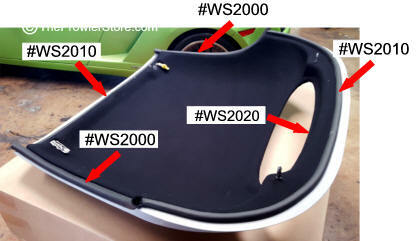 They are very similar and secure the top to the windshield frame just as the convertible soft top is. 2. Are the back pins adjustable? 3. Does the top have a interior liner? 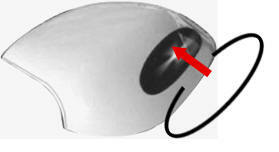 Yes, it is black liner material. 4. 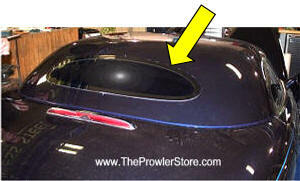 Does the back window have a defroster like the convertible top? No it does not have a defroster. It does have a tinted Lexan clear window. The material used in racing cars. 5. 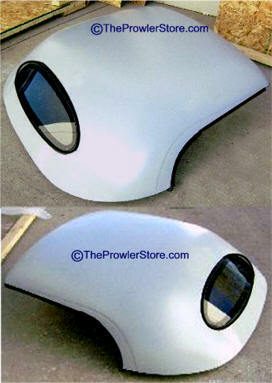 Do you offer the Prowler Hard Top painted? NO - sorry we do not. 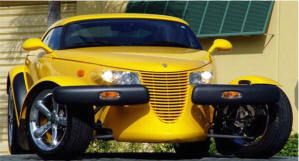 We recommend a local auto paint shop. 6. Are these tops available elsewhere? No, they are produced specifically for The Prowler Store. 7. Can I return my top if I don't like it? Yes, within 30 days. There is a 15% restocking fee. 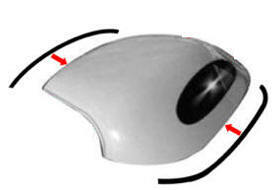 You must return the top to the address we will provide you in new undamaged condition. 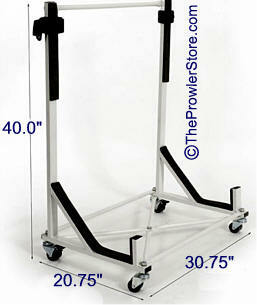 You must insure the top for shipping so if it is damaged you are the insurance holder. You are responsible for shipping it back to us. The initial shipping you were charged is not refundable. 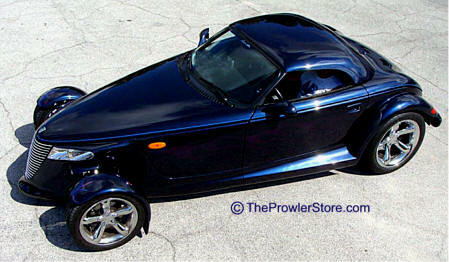 The Prowler Hard Top The Plymouth Prowler Hard Top gives a retro classy look. 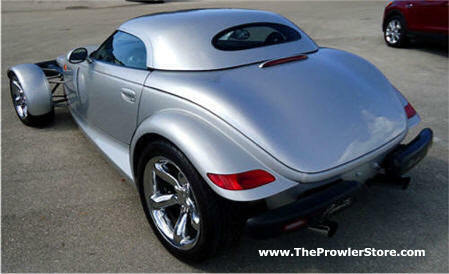 The Prowler Hardtop really sets off the Prowler! 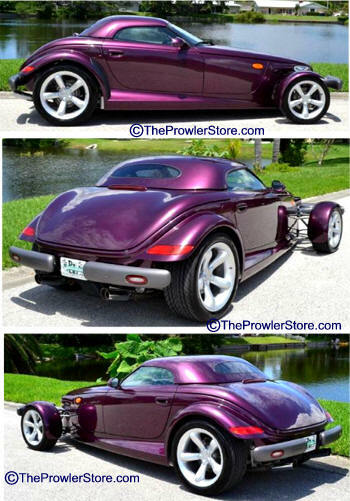 Own a Prowler Hard Top and watch all the admirers. 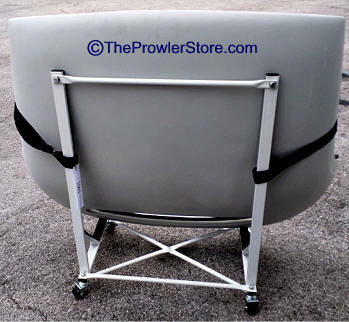 Our Prowler Hard Top is now ready to order.